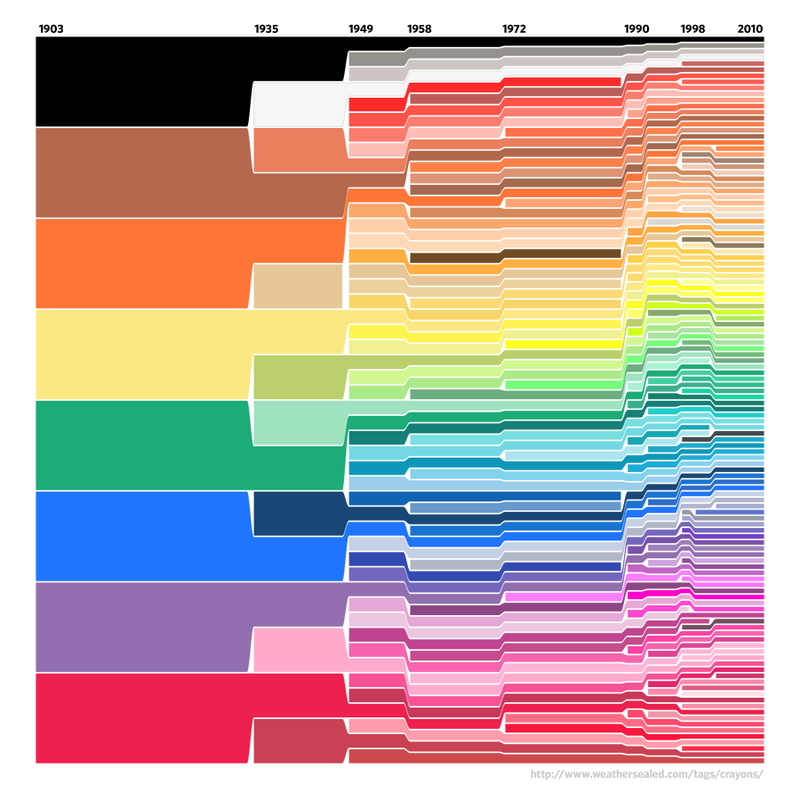 Remember Weather Sealed’s crayola color history? His data-slicing color ebullience strikes once more, but this time with historical names of humans, based on Social Security Administration data. Head immediately to Weather Sealed to escape the bounds of my narrow blog to see the data in its full resolution glory. ← La Lenguans of the World, Unite! Colors aren’t as dramatic, but dynamic trumps static.